Almost a decade after Hurricane Ike killed dozens of people and caused $30 billion in damage, a group of Texas politicians and business leaders say they finally have "all the support necessary" to break ground on a massive coastal barrier that would protect the Houston area from another devastating hurricane. Now they just need $15 billion to build it. And that's what they urged the federal government to provide in a recent letter to President Donald Trump. 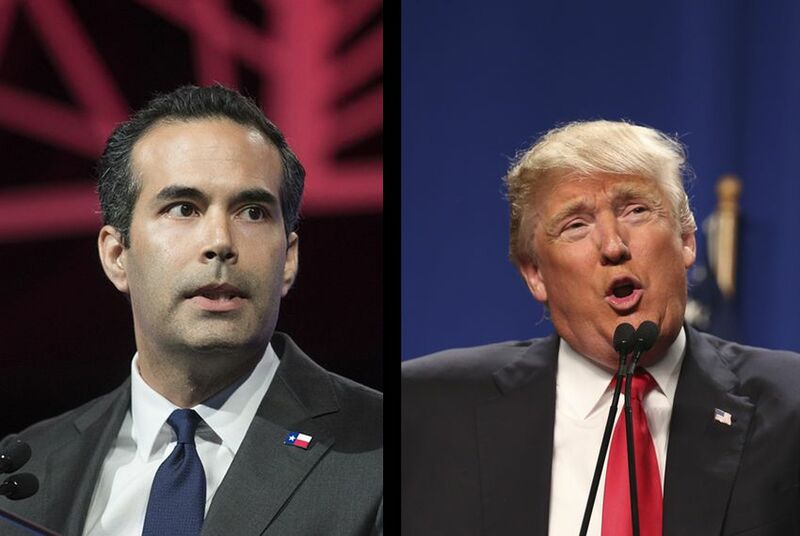 Signers of the letter include Texas Land Commissioner George P. Bush, more than 20 area mayors, including Houston Mayor Sylvester Turner, and several Houston-area members of the Texas Legislature. Last year, The Texas Tribune and ProPublica published an extensive look at what Houston’s perfect storm would look like. (A companion story ran on the Reveal radio show and podcast.) Scientists, public officials and politicians say such a storm would kill thousands and cripple the national economy. In 2008, Hurricane Ike was originally on a trajectory that could have caused such damage but changed course just hours before making landfall. Since then, "little has been done to protect the area's critical infrastructure," the letter to Trump reads. The proposed "coastal spine," conceived of by scientists at Texas A&M-Galveston and originally dubbed the "Ike Dike," would stretch across six counties and consist of a massive floodgate and barrier system. Even for a president that has pledged to restore the nation's crumbling infrastructure, the barrier will be a tough sell. Such an ambitious public works project has never been built in anticipation of a natural catastrophe. It took the Great Storm of 1900, which killed thousands of people in Galveston, to get a seawall constructed on the island; New Orleans' failing levee system was not fixed until after Hurricane Katrina killed nearly 2,000 people in 2005; and only after Hurricane Sandy devastated New York did Congress allocate a significant amount of money to pay for storm protection studies. The massive projects that do get funding also usually require years of planning and federal studies. In December, then-President Barack Obama signed a law that might help speed up that process for the Ike Dike, but there is still no official consensus plan on exactly what to build. The U.S. Army Corps of Engineers, which will have the final say on what plan to pursue and is conducting its own study of the issue, has estimated that construction on any such system for Texas couldn’t begin until 2024 at the earliest. And it might take far more than $15 billion to get the coastal spine up and running. Some have estimated it will actually cost twice that to build it, not including the money necessary for continued maintenance and operation of the barrier system. In order to raise money for that purpose, lawmakers in the Texas House and Senate have both proposed giving a group of counties on the upper Gulf Coast the ability to collect fees and issue bonds. But their legislation, which has yet to pass out of a committee in either chamber, is very clear: The group of counties couldn't start raising any money unless "the federal government approves money for the construction of a coastal spine in this state." Houston is the fourth-largest city in the country and it's a sitting duck for the next big hurricane. Learn why Texas isn't ready.